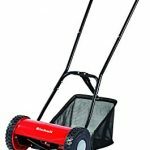 Check out our comparison guide for the top rated manual lawn mowers currently on the market. They are lightweight. 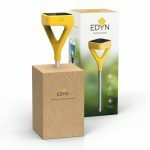 Typically weighing less than 5kg, these things are easy to get a good command of for just about anyone. 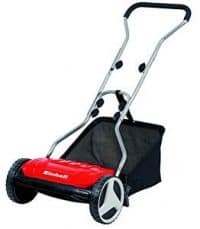 For instance if you’ve got a bored 10 year old looking for something to do and a bit of pocket money, having a push mower might just be the answer. 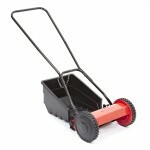 They don’t require any fuel, mains supply or battery. This might seem obvious, but think about how much hassle all of those things can be. 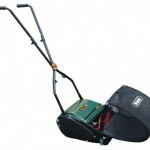 With a push mower you know that as soon as you get it out of the shed you’ll be good to go, wherever you are. 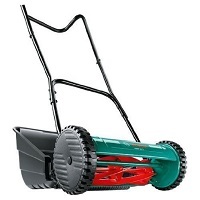 This is particularly useful if you have some grass to cut in an isolated location such as an allotment. They don’t take up too much room. 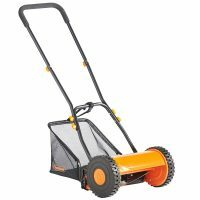 With no engine or battery to worry about push mowers are incredibly simple in their design, they aren’t much more than a couple of wheels with a cylinder blade between them, a grass box (which is usually fabric), and a handle bar. This means that not only can they be stored in a small space, but you also stand a good chance of hanging them on the wall for storage.